Explanation: Is the Roof of Africa on fire? A group hiking at 6 am near the top of Mt. 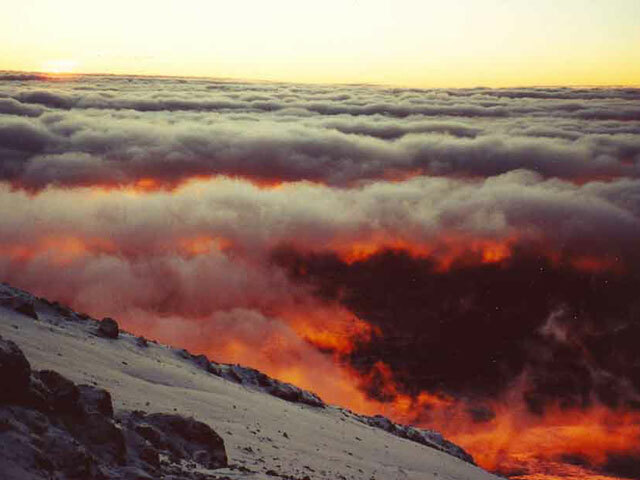 Kilimanjaro watched the rising sun peak above the clouds and the horizon light up red. Don't worry -- in this case the highest volcano in Africa is not even erupting. The spectacular sunrise colors are caused by light scattering off the atmosphere and small cloud particles. If all of the scattered light that makes the sky blue were added back into the scene, the sunrise would appear Sun-colored and not so red. A similar light scattering effect involving small airborne dust particles causes sunsets on Mars to be red and has been used to determine the sizes of particles in the rings of Saturn. 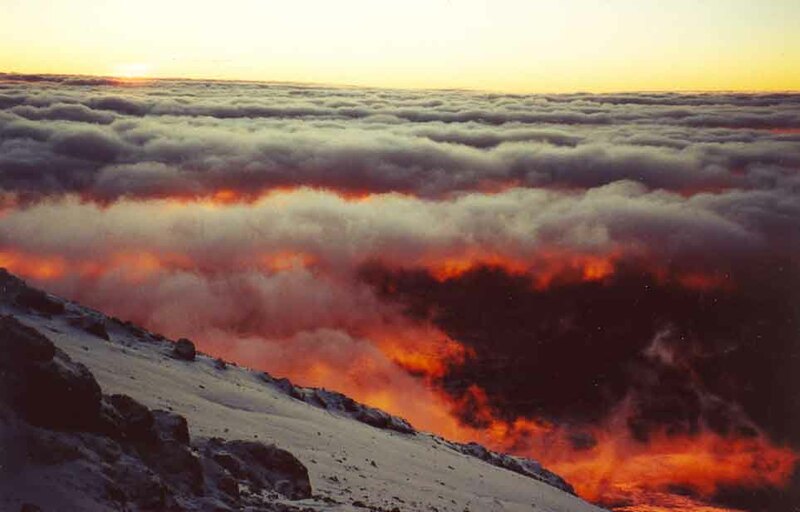 During this trek in 2000 November, a group of about 30 reached the Kilomanjaro summit after a six-day climb.